MIAMI, FL - The famous House of Dereon clothing line featured an exclusive fashion show on Friday, March 19th, 2010 for Honey Shine Lady Bugs and prospective members of the Honey Shine Mentoring Program, an organization founded by Tracy Wilson Mourning, wife Alonzo Mourning. The event was held at Neiman Marcus Bal Harbor, and hosted by Tracy Wilson Mourning and Hess Rouhafza, Vice President/General Manager of the store. The 88 women in attendance were treated to a presentation of the Spring/Summer 2010 House of Dereon Collection, with special guest Tina Knowles, award-winning designer, fashion stylist, and founder and co-creator of House of Dereon. Others in attendance included NBC6 anchor and Honey Shine supporter, Jackie Nespral. The VIP fashion show allowed guests a sneak-peek at 2010’s lineup of Spring/Summer looks from the House of Dereon and they enjoyed a delightful lunch catered by Zodiac Café at Neiman Marcus. Twenty women joined the Honey Shine Mentoring Program as 2010 Lady Bugs, bringing the program even closer to their annual goal. At the event, Tracy Wilson Mourning had a chance to share her vision for the Honey Shine Mentoring Program with special guest, Tina Knowles, and explained to future Lady Bugs (members) the important roles they too can play in the lives of young girls in their community. 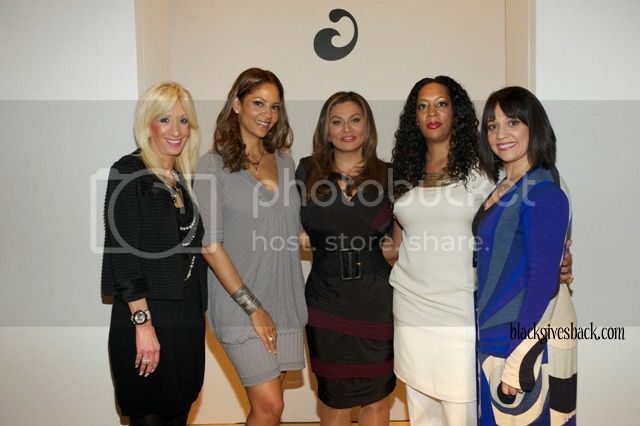 Tracy Mourning, Anita Valentino, Bobbi Brown Specialist, Jonie Sabo and Frances Esquenazi. 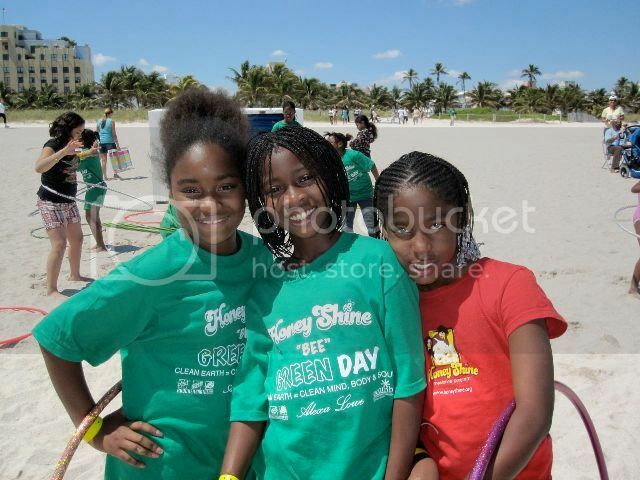 The next day on March 20th, the girls of the program known as 'Honey Bugs,' took to Miami Beach for their second annual "Bee" Green Day, a day of service to help beautify the city they love. 73 Honey Bugs and 43 volunteers participated in the clean-up project in partnership with the Environmental Coalition of Miami Beach (ECOMB), Boucher Brothers, and Honey Shine member Alexa Lowe starting at 13th Street and Ocean Drive. ECOMB Executive Director, Luiz Rodriguez, gave the Honey Bugs a brief tutorial prior to heading out that covered Anti-Litter, Recycling and Preservation of our Ecosystem. The girls were then teamed up in groups of five, each covering three to four beach blocks, cleaning up the beaches and removing large bags of trash. On March 23rd, the program hosted a successful member recruitment and appreciation event at the Deering Bay Yacht and Country Club which included special acro yoga and jewelry redesigning demonstrations. The highly interactive and educational event was organized by Tracy Wilson Mourning, along with Ada Armas, a Honey Shine Double Platinum Member who sponsored the mid-day gathering in an effort to share the important work of Honey Shine with prospective members. The Honey Shine Mentoring Program, a program of Alonzo Mourning Charities, provides support and opportunities for young girls across South Florida. For more information on how you can become a Corporate Partner or an Individual Lady Bug sponsor, please call 305-476-0095 or visit www.HoneyShine.org.